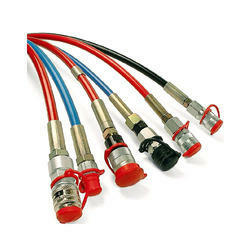 Our company offers the best Jack Hydraulic Hoses in the market. The hose is manufactured using best of the materials available through reliable vendors. We manufacture hydraulic hose in various technical specifications. This hose is precisely designed by incorporating advanced technology and a series of quality tests post production. Looking for High Pressure Thermoplastic Jack Hose Assemblies ?